01.15.10, originally uploaded by elizabethlmccoy. 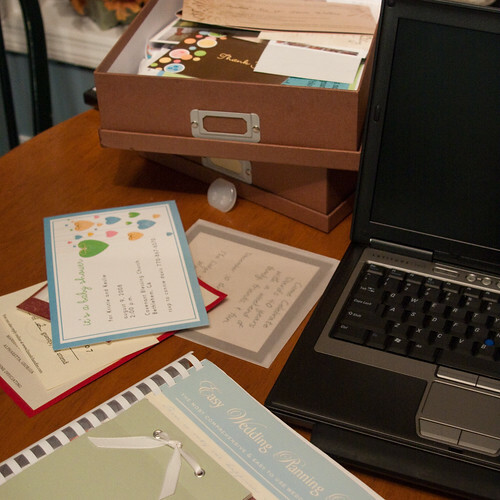 "1.15.10 - Had a meeting tonight to work on a friends wedding invitations. Got out all my samples and wedding books. "